Detail view of the exhaust and tail wheel area. Note the C-Stoff dump pipe underneath the rocket exhaust. It vented the C-Stoff used for cooling the combustion chamber in case of overpressure. The cooling slots are also clearly shown. 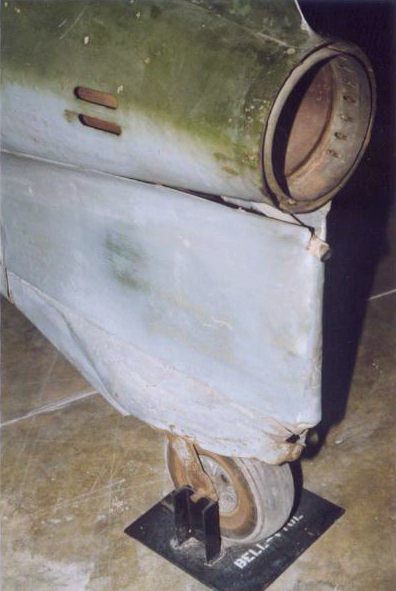 The (non-structural) sheet metal over the tail wheel appears to have detached from the fuselage.